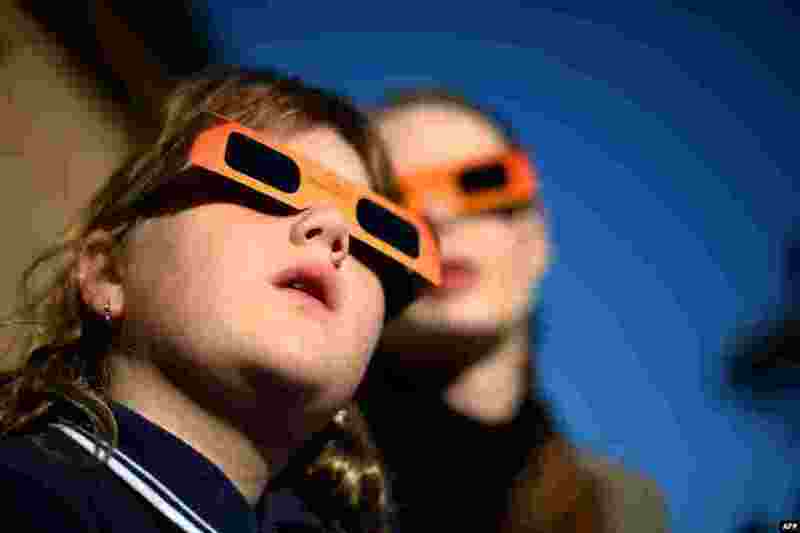 1 A child (L) watches a partial solar eclipse with a woman at the Sydney Observatory. Star-gazers were treated to an annular solar eclipse in remote areas of Australia with the moon crossing in front of the Sun and blotting out much of its light. 2 Rescue workers rescue a woman, identified by Bangladeshi media only as Reshma, from the rubble of the Rana Plaza building 17 days after the building collapsed in Savar, Bandladesh. The disaster has killed more than 1,000 people. 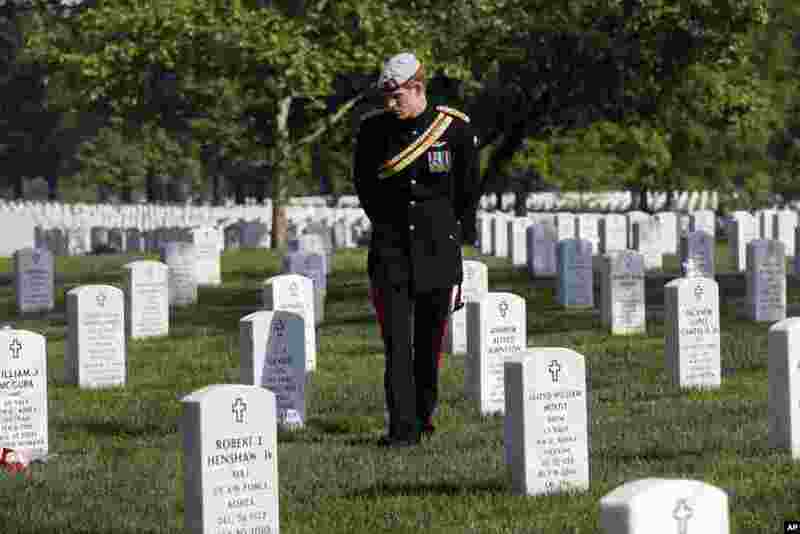 3 England's Prince Harry visits Section 60 at Arlington National Cemetery, near Washington D.C. The British soldier-prince is spending most of his week in the U.S. honoring the wounded and the dead of war. 4 Pakistani army soldiers take positions a day before the nationwide election, in Peshawar. 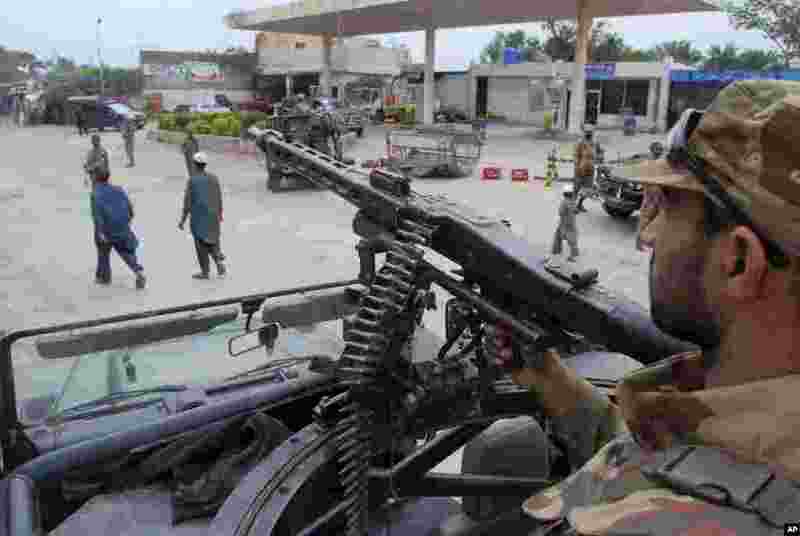 An especially violent spate of killings, kidnappings and bombings has marred the run-up to Pakistan's nationwide election to be held on Saturday.